Stonewall Quarry Park’s baseball facility includes a total of nine diamonds. 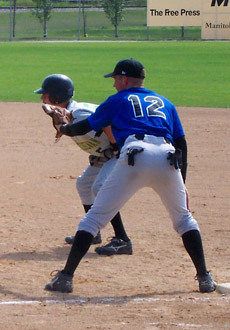 Complete with bleacher seating, food concession and sound booth, the class A diamonds have been the site for a number of national tournaments such as the Blue Jays Cups in 1997 and 1998. They were also used for the Pan Am Games in 1999 and the Western Canada Summer Games in 2003. Diamonds are available for all types of games from slo pitch to hardball.